Some say it started with the Japanese, who use oils to gently cleanse their skin. Others say it was Middle Eastern women, particularly in Morocco, whose beauty routines went global when Argan oil became internationally popular. No matter what the origins, there’s no doubt that using face oils as part of a beauty routine is here to stay. High in vitamins and antioxidants, facial oils also have anti-inflammatory ingredients that soothe the skin and can prevent wrinkles. In fact, essential fatty acids in face oils are crucial to replenishing and maintaining the hydration and nourishment levels necessary for plump, hydrated skin, since our facial skin cannot generate such oils itself. One of the most impressive qualities of facial oils is that they can easily penetrate into lower levels of the epidermis. Face oils contain potential anti-oxidants, precious emollients and even vitamins. Additionally, oils protect the skin and help rebuild and maintain its lipid barrier, which means that even oily skin types can benefit from their use. Why do you need face oil? As we age, wrinkles look deeper because the skin’s natural oils decrease, the moisture barrier breaks down, and the skin dries out. Luckily, face oils pass though the lipid layer of the skin quickly, preventing water loss and plumping skin with moisture more effectively than moisturisers. If you apply the oil before an anti-ageing cream, the oil penetrates deeper into the skin and increases the effectiveness of your moisturiser. No brand knows all of this quite as well as Harmonia Botanica. Their quality products are the result of exceptional care at every stage of the production process. 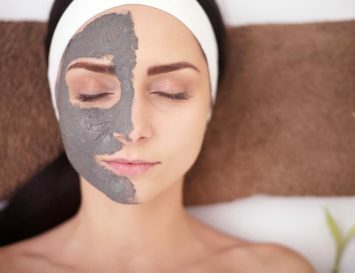 Not all skin care ingredients are created equal. 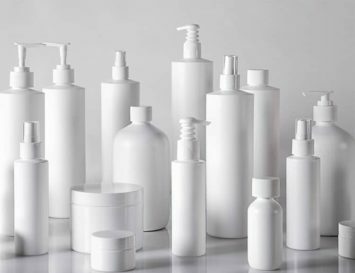 Therefore, they use only the highest grade ingredients available to create skin care as pure as it is effective. 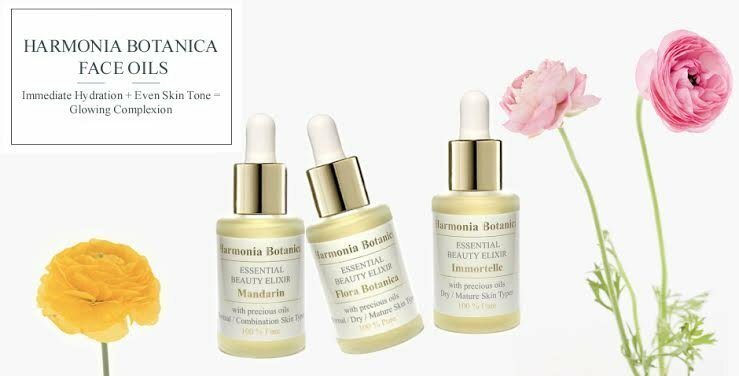 Harmonia Botanica offers a collection of 100% pure, highly effective face oils called “Beauty Elixirs,” all of which contain no parabens, preservatives, fragrances or silicone, and are formulated to target specific skin concerns. For example, Harmonia Botanica’s Flora Botanica is formulated specifically for glowing skin. Containing six precious floral oils – Rose, Neroli, Patchouli, Ylang Ylang, Lavender, and Frankincense – this product combats dryness, restores vitality and prevents ageing. In particular, Frankincense and Patchouli help rejuvenate skin tone and prevent wrinkles, whilst Neroli oil invigorates and restores vitality. This face oil is especially suitable for dry and mature skin types that lack vitality. It is also highly recommended for young and normal skin types to prevent ageing. 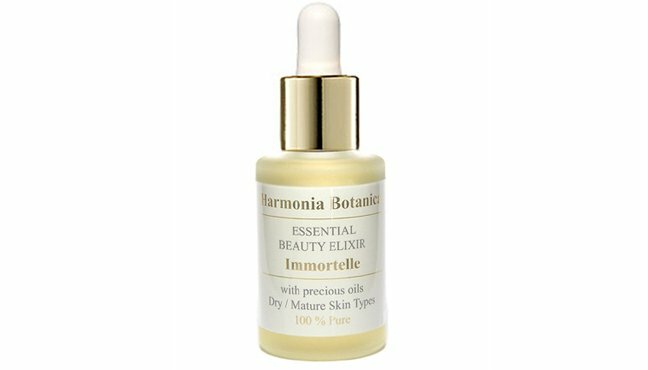 For more mature skins, there’s Harmonia Botanica Immortelle face oil, which is focused on anti-ageing benefits and contains age-defying emollients such as Rose oil, Camellia oil, and Borage oil. The product penetrates quickly to nourish and firm the skin as well as revitalise and improve its elasticity. Rose immediately boosts radiance; Borage seed oil is high in gamma-linolenic acid (GLA), a fatty acid that helps maintain healthy skin and repair tissue damage. It supports the reconstruction of damaged and mature skin. Camellia seed oil has an outstanding moisture retaining ability – it easily penetrates into the deepest layers of the skin, leaving your skin smooth and supple. Immortelle face oil is especially suitable for dry and mature skin types as part of anti-ageing regimen. Added bonus: the rose and Ylang Ylang oils in the mixture give a sense of well being. The scent of the oil is very relaxing and soothing. Finally, Harmonia Botanica Mandarin face oil balances combination and oily skin. 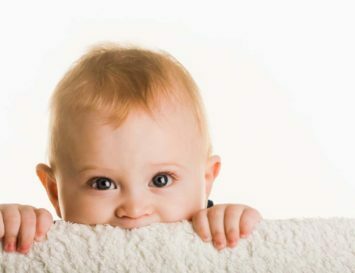 Its very light texture absorbs quickly to unclog, clean and tighten pores and regulate sebum production. It penetrates deep into the skin and doesn’t leave any greasy residue. Neroli oil and exotic Mandarin oil invigorate and restore vitality, and the bright citruses in this mixture help oily and combination skin stay healthy and clear. Evocative and uplifting, the essential oils in this product are known to soothe sensitivities. The scent of real mandarins and Neroli blossom particularly brings the sense of happiness and well-being. Put a few drops in your hands, rub them together and pat onto your face, neck and decollete, pressing in with fingertips and finishing with light sweeping strokes. 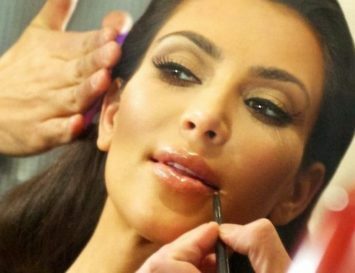 TIP: Apply their face oils to the face when it is slightly damp to create a dewy, radiant look.